On January 21, less than one day after Donald Trump–self-proclaimed sexual assailant and virulent authoritarian, xenophobe, and racist—was inaugurated as U.S. president, an unprecedented and unexpectedly huge outpouring of humanity, for humanity, rose up in demonstrations against him. Throughout the country and around the world, between three-and-a-half and five million people served notice to him and his government that we will not sit idly by as he tries to take away our rights, freedoms, and well-being. The demonstrations opposed not just one facet of Trumpism; they opposed it in its totality. They were also a stinging repudiation of self-styled leftists who have been pro-Trump, soft-on-Trump, and “understanding of” Trumpism. Such people are moving in one direction; the masses of people on the cutting edge of this moment’s singularly important freedom struggle have now moved in the opposite direction. In last weekend’s protests, the emerging mass movement signaled clearly that we will not be talked down to. We signaled clearly that we do not intend to move “to the back of the bus,” allowing our lives, freedoms, and dignity to be ignored in the interests of collaboration with (so-called populist) white nationalism. And although the self-styled leftists who are soft on Trump have tried to sell us a set of false equivalences between Trump and democratic bourgeois politicians, the demonstrations signaled clearly that we are not buying any of it. It was precisely because we understand the extraordinary dangers of Trump and Trumpism that we took the unprecedented action of rising up spontaneously against this President, this government, on its very first day, in opposition not just to some specific policy or action, but to Trump and Trumpism themselves. The protesters decisively rejected calls to “give Trump a chance” and “wait and see” if he will really be as bad as he has promised. The organizers of the Women’s March dared–immediately after the election–to call a march that would serve notice on him from the start. 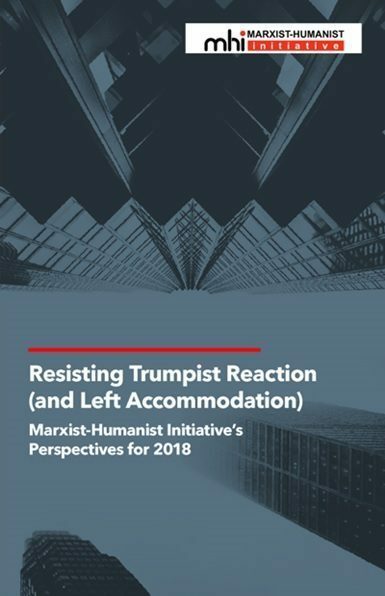 Objective threats and the elemental desire for freedom and dignity accomplished what decades of elitist liberal and left program-hatching, “raising consciousness,” strategizing, and economistic appeals have failed to do. The threats and the desire for freedom have created the start of a truly mass movement, spontaneously and suddenly. The massive size and breadth of demonstrations elsewhere was even more surprising. Simultaneous marches were held all over the country, in some 643 different locations, bringing out between 3.3 and 4.9 million protesters. 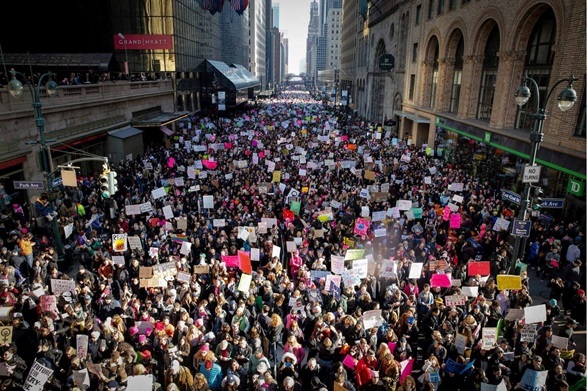 In New York City, 400,000 of us participated in the Women’s March. A quarter million turned out in Chicago, 200,000 in Los Angeles, 175,000 in Boston, and millions more elsewhere (such as 12,000 in Oklahoma City and 2000 in Syracuse, NY). Nine cities had demonstrations of 100,000 or more people; 14 drew 50,000 or more, and over 200 had 1000 or more. Discontent is so widespread that even in Colorado Springs, the center of the right-wing evangelical movement in the US and home to various military bases, NORAD, and the Air Force Academy, about 7,000 people marched through the streets to repudiate Trumpism. And all these figures are the low estimates. 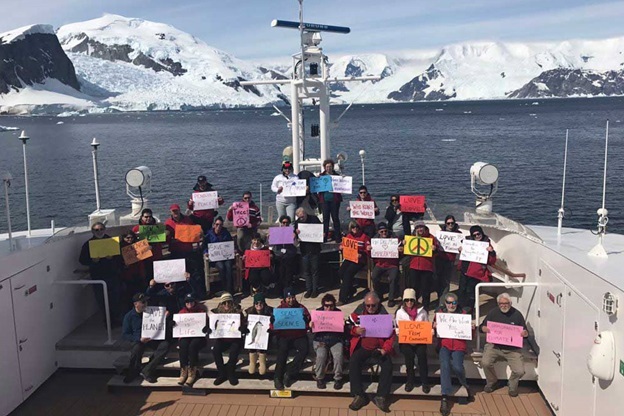 There were also demonstrations in 211 locations around the world—including Antarctica. In London, 100,000 people turned out in solidarity with U.S. women. 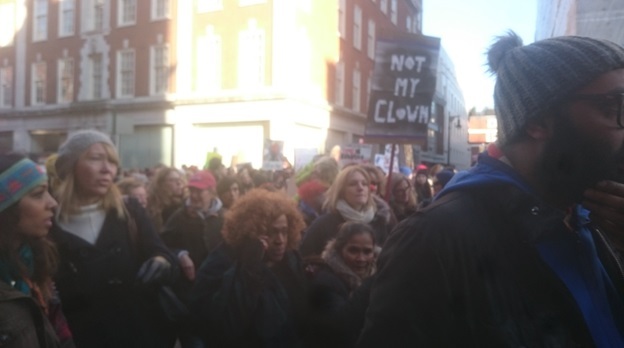 (See articles by MHI participants in the London Woman’s March.) Undoubtedly, many of the demonstrators abroad hope to stay the hands of their own national leaders, as a political turn to the far-right spreads throughout Europe and elsewhere. But many, we suspect, were simply acknowledging the breakthrough role of women’s struggles in advancing freedom movements in the last half century, and solidarizing with us in the U.S. against the immediate threat we face. 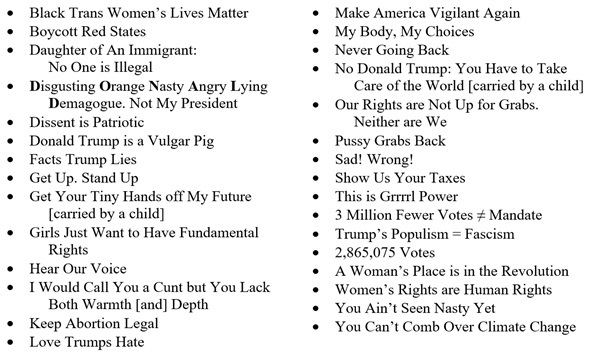 This Google Doc spreadsheet compiled by two academic researchers, Erica Chenoweth and Jeremy Pressman, lists all of the Women’s March protests, in the U.S. and abroad. All told, between 3.5 and 5.2 million people participated. Other protests also “greeted” Trump as he took power. On the Wednesday preceding his January 20 inauguration, thousands of New Yorkers turned out for a rally at Trump’s Columbus Circle hotel that was put on by Michael Moore, Alec Baldwin, Cher, and others. The next day, thousands more converged in a students’ march through Lower Manhattan to Trump’s Wall Street building. On Friday, Inauguration Day, there were relatively small protests in Washington; 230 Black Bloc (anarchist youth) protesters were arrested just blocks from the White House. The majority of them face up to 10-year prison sentences and up to $25,000 fines for “felony rioting.” In contrast, no one was arrested at the Women’s Marches in Washington or New York the next day, nor have we heard about arrests in other cities’ Women’s Marches. Perhaps the power possessed by millions of people, standing united, was so obvious that neither demonstrators nor police felt the need to prove themselves through provocations. The marches on and around Inauguration Day did not occur in isolation. In commemoration of Martin Luther King, Jr. Day the previous weekend, major media showed film clips of the brave fighters in the Civil Rights Movement who risked their lives for Black equality in the 1950s and 1960s. At the same time, a veteran of that movement, now a Congressman, John Lewis, declared that Trump is not a legitimate president and that he would not attend the inaugural. Sixty-five other members of Congress joined him in this boycott. The marches also came after two-and-a-half years of widespread protests over police killings, which created a Black Lives Matter movement on the ground. And no one could help but be inspired by the Dakota Sioux warriors who have been resisting the building of an oil pipeline through their land, threatening their water supply, environment, and autonomy. The proliferation of concurrent protests in every corner of the country is a new phenomenon. It shows a new, nationwide resolve to fight Trump from the starting gate. It shows the leadership role of women, especially Black women, who have been fighting to obtain and preserve rights to health care, including control over reproduction, equal pay, and respect for the past 50 years. They served notice that Americans will fight Trump’s misogyny, racism, xenophobia and authoritarianism. One effect of Saturday’s marches is already clear: their breathtaking size and scope have energized and emboldened people to continue fighting. In the five days since he took office, Trump has announced and undertaken a rush of reactionary actions that take away the rights of women and immigrants and destroy the environment. But new protests against these measures are erupting instantaneously. 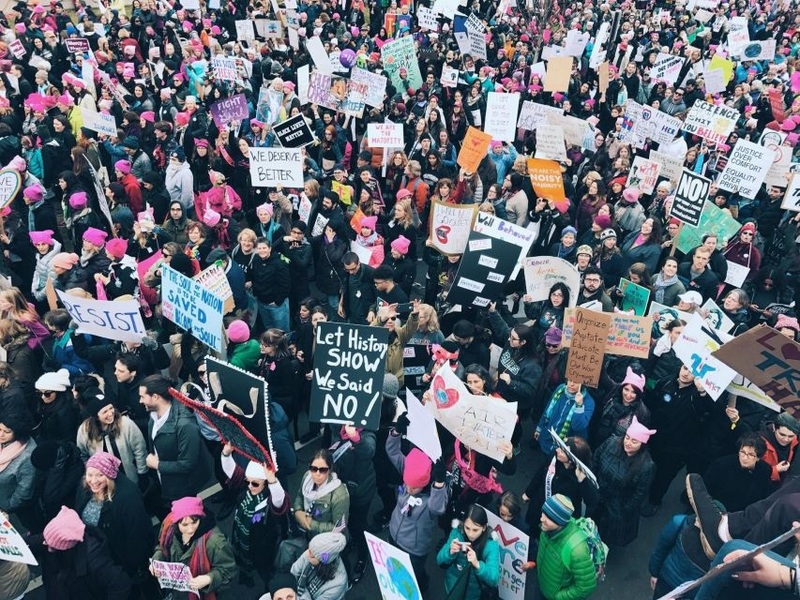 Although many marchers were already active in women’s organizations and spoke about their issues, this was the first protest a great many people had ever attended. Others participated who had not demonstrated since the 1960s. Some signs called for revolution, and many highlighted the systemic nature of women’s oppression and of Trump’s plans to diminish our rights and our personhood. Many cited presumed women’s values as an alternative way of life: love and kindness as well as health care and education. “The future is female” implies that women will fight to create a new, human society. The very next day was the 44th anniversary of Roe v. Wade, the Supreme Court ruling that legalized abortion and which has been chipped away at ever since by the right-wing. The day after that, on Monday, Trump began to implement his and Pence’s reactionary agenda by reinstating a Reagan-era ban on American aid to organizations in poor countries if they offer abortion counseling or advocate the right to seek abortion in their countries (the law already prohibits federal funds for abortion services anywhere). While there were many multiracial organizations present, especially those concerned with poor women’s health care, there seemed to be a relatively small numbers of Black people at two marches we attended, in New York and Philadelphia. Reports from elsewhere were similar. There were some criticisms of the symbols used in the marches. Transgender groups objected to the frequent use of terms for sexual organs that might suggest that biology is destiny. What must be emphasized is that these marches were not planned by any one organization, from above, with leaders controlling the content. Yes, there is an official Women’s March organization, but the new resistance movement is far larger than it. The official organization, which is new and hastily put together, simply lacked the time or resources to bring out millions of people throughout the U.S.–not to mention the hundreds of thousands who organized their own marches abroad. Millions of women and men participated because they felt the need to do so, not because anyone had organized their participation. There were few organized contingents. People brought themselves to the marches, and came alone or with a few friends or family members. The self-organized, self-directed character of the new resistance movement suggests that it may be able to self-develop, in its own, independent direction, instead of allowing itself to be hemmed in, channeled, and throttled by politicians, liberals, or the so-called left. The new resistance movement has within it all manner of political and “identity” divisions. It has no common politics or philosophy—apart from the singularly important focus on resisting and getting rid of Trump and Trumpism. But the same can be said for every mass movement. The Soviets (councils) of workers, soldiers, and peasants in Russia, a century ago, were certainly not an undifferentiated monolithic organization that adhered to some “politically correct” Bolshevik line. Lenin nonetheless helped to make history by defying his Bolshevik colleagues and calling for all power to be transferred from the Kerensky government to these self-organized Soviets. We did not hear anyone at the marches say that the only thing we can do is elect Democrats in the next election (assuming that there will be a next election!). On the other hand, there are certainly liberal and Democratic Party elements—pro-Clinton and pro-Sanders–within the new resistance. That is all to the good; to successfully resist, and to put an end to, Trump and Trumpism, we need all the help we can get. What is crucial is that the Democratic Party not be allowed to divert, coopt, or hem in the movement as it develops. The exact same thing is true regarding the relationship between the resistance movement and the left. The resistance movement does not need to be directed by the left, or schooled by it, or “brought up to its level.” It is already far in advance of the self-styled leftists who are pro-Trump, soft-on-Trump, or “understanding of” Trumpism. It is not squandering precious time–in the short period before Trump tightens his grip on power—by blaming Clinton, the Democrats, “identity politics,” or “neoliberalism” for the crisis situation we face. It has a clear recognition of who Mister Big is now. It recognizes that our life-or-death task now is to resist and eliminate a distinct, much worse, and more threatening enemy—authoritarian, misogynistic, white nationalist (so-called populist), xenophobic, racist Trumpism. Once … the well-being of the American people [is] considered collateral damage in the struggle against U.S. imperialism, perhaps Trump can be regarded as not so bad or even as the lesser evil. It is time to eradicate this kind of “anti-imperialism.” The left needs once again to stand for freedom and human rights for all. The positive element here is that the soft-on-Trump left is being decisively repudiated on the ground by the actual left in the U.S.–Blacks, Latinos, youth, women, and others who understand quite well the threat to their well-being that Trump and Trumpism represent. Many of them have engaged in nearly continuous protests at Trump’s rallies. They are not allowing his “right” to hold “private” rallies interfere with their right to speak freely in order to challenge the torrent of filth and hate he spews forth. It is this left that we stand with and are part of. It needs to grow and develop to the point where it can defeat Trump and Trumpism. This is no time to trust the Democrats. We cannot trust them to win the election. Much less can we trust them to continue to fight Trumpism if they need to make peace with it in order to preserve U.S. capitalism, or even their own career prospects. While there is a real danger that the resistance movement will be coopted or throttled by its “allies,” we have seen no evidence that most of the protesters are focused on building the Democratic Party instead of resisting the party in power, or that they think that electing Democrats is the only way to fight Trumpism. Can there be any doubt that some of those warning that the resistance movement might become a tool of the Democratic Party wish it to be their tool, instead? And can there be any doubt that the warnings are sometimes part of a sectarian battle of other politicos against the Clintonites that does not have as its principal aim resistance to Trumpism, or even concern for the freedoms and well-being of regular women and men? And some of the negative reaction to the Women’s Marches seems to reflect a longstanding suspicion of “bourgeois feminism.” Dismissal of feminism as “bourgeois” reflects a failure to understand that when independent mass movements, such as women’s and minorities’ movements, are striving for freedom and articulating ideas about freedom, they have an interweaving, dialectical relationship with class struggles that can create a road to revolution. As we said above, we need all the help we can get to successfully resist, and to put an end to, Trump and Trumpism. For this reason, the movement can be maximally effective only if it reaches out to and brings in communities that were not well represented in last Saturday’s marches (such as Blacks, transgendered people, and certain parts of the working class). When doing so, it needs to “keep its eyes on the prize.” Recognition that Trump and Trumpism threaten various communities in various ways, and the solidarity of each with the others, is essential. So is maintaining a razor-sharp focus on resistance to Trump and Trumpism. Indeed, it may prove to be crucial to the survival of humanity. 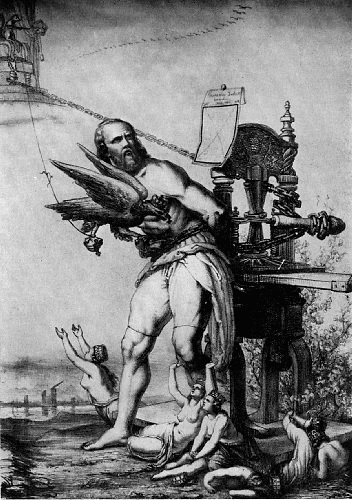 In our August editorial, we warned that he struggle against Trumpism “cannot rely on faith in the electoral process or bourgeois politicians and parties; they are always prepared to sell us out. We need a mass movement, independent of capitalist interests and politics, to fight Trump and Trumpism on the ground.” Before the election, however, there was too much hope that the election of Clinton would save us. The mass movement against Trumpism began only when that false hope ended abruptly on November 8. With the election of Trump, everything seems to have changed. But what has not changed is the urgent need for a mass movement against Trumpism that maintains its independence. The emerging movement is a movement of resistance, the desire to negate Trumpism. “The positive,” what the movement is for, may be able to develop over time–if the “vanguards” and leaders and program-mongers, of the Democratic Party and of “the left,” are deprived of opportunities to stifle its spontaneous forward movement. It is crucial that the movement be given the breathing space it needs in order to self-develop and move forward. We urge the resistance to remain independent, grassroots, and free from control by those who would interfere with its self-activity and self-development. And we urge it to explore Karl Marx’s philosophy of total liberation—the free development of each is the condition for the free development of all. In order to oppose Trumpism and uproot it fully, in theory as well as in practice, this philosophy, which is the absolute opposite of Trumpism, is what is needed. Great editorial, well done! 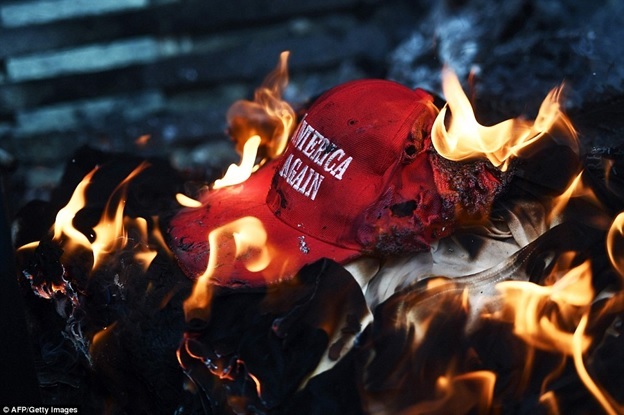 I especially liked the coverage of the material facts of the global Anti-Trump protests, the spontaneous impetus of the working class, and the effortless transition into evenly sprinkled sources of information. One suggestion that I’d make regarding the paragraph that begins “This Google Doc Spreadsheet”. I believe the subsequent word *complied* should be changed to *compiled*. Thanks again, and I look forward to reading more work from this amazing organization. Watching the marches on TV and seeing the political commentaries and cartoons brought up for me visions of the French Revolution and especially of the 1905 Revolution in Russia, with its General Strike! Interesting article, however it almost seems inevitable this new movement will collapse through internal bickering, exhaustion, Trump taking a more nuanced approach, or the Democrats co opting the opposition with the help of the usual “Left”. That`s why I believe your last sentence urging people to engage with Marx`s work – not through the various academic interpretations, but for themselves – is absolutely crucial. If freedom is the state of being, then our society is the prison we have created around us; let`s make something new!